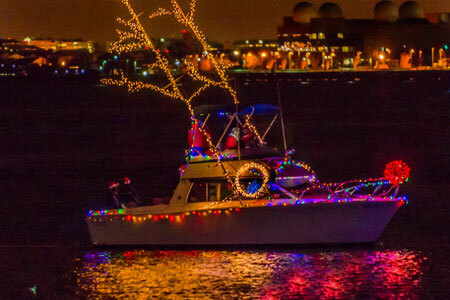 Unless you live in a town that is located on or near the water, this might be the first time you’ve heard of a Christmas boat parade. Well, a floating fleet of ships is just as festive as many other light shows, and, in my opinion, it’s a bit more impressive that folks rig up their boats with creative light displays! Attending one of these parades would be a jolly good time for the whole family or a date night with your sweetheart. 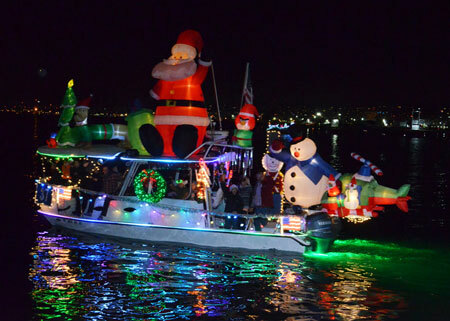 Even if a boat parade is not near you, keep reading to enjoy the pictures! 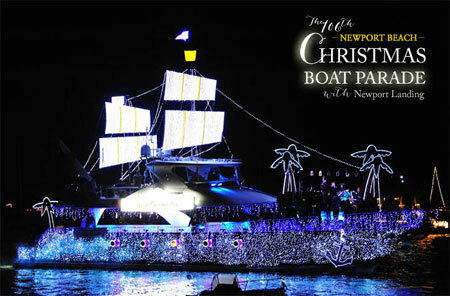 The Newport Christmas Boat Parade first started in 1907 when a man carried a few folks across the bay in his gondola decorated with Japanese lanterns. Over the last century, the parade has morphed from its humble beginnings into a wildly popular event that draws visitors from all over country. 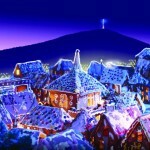 In fact, the New York Times named it “one of the top ten holiday happenings in the nation” in 2002. With over 200 boats and many houses and docks decorated for the occasion, it’s no surprise why this event is such a success! You can watch the parade from multiple locations around the bay, including various restaurants. Click here for more viewing information. 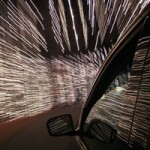 Want to upgrade your experience? You can observe the parade from a yacht; reserve tickets here. If you live near the Washington, D.C./Alexandria area, you’ll want to make plans to go to the boat parade on the Potomac River. 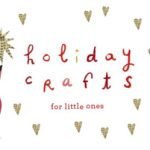 There will be fun festivities for everyone, so bring the whole family! Although the activities vary depending which side of the river you’re on, both sides will have live music, photos with Santa, and a brilliant display of lights. For more details of this event, check out the Facebook page. 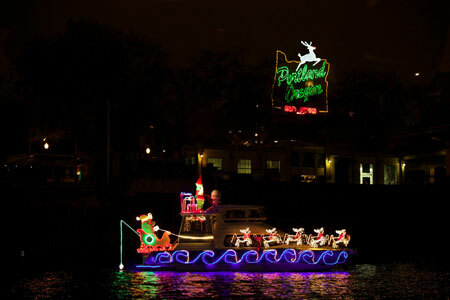 The Christmas Ships Parade in Portland is not just a single parade, but a series of parades! For 15 nights in December, dedicated skippers sail their boats up and down the Columbia River and Willamette River. The parade routes vary by date and by river, so be sure to check the schedule(s) ahead of time to plan your outing. 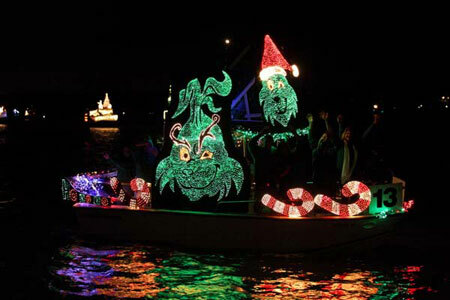 The first ever Venice Christmas Boat Parade hit the Intracoastal Waterway in 1989 with a showing of 41 boats. Now, over thirty years later, the Venice tradition still delights the community with its glowing procession of decorated vessels. In the spirit of giving, the Venice Christmas Boat Parade, along with its sponsors, benefits boating activities for youth and funds a marine sciences scholarship!